Home/Natural/Make Your Own Herbal Liquid Hand Soap Quickly and Easily! Make Your Own Herbal Liquid Hand Soap Quickly and Easily! Almost everyone wants to eliminate unnecessary chemicals in their daily life. Most commercially produced soap products really don’t contain soap at all, but chemicals such as sodium lauryl sulfate and cocamide DEA, which are known cancer causing agents, especially when combined with other chemicals. Many antibacterial soaps also contain triclosan, which is known to interrupt the body’s production of hormones. Don’t bother with those dangerous chemical filled body washes and liquid hand soaps. You can make your own easily and quicker than you think! You don’t have to deal with lye or try to figure out the proper weight ratios of lye to fats (which is necessary for making soap from scratch); all you need is some castile soap and essential oils. We also have another recipe that involves grating and melting a regular bar of soap, so the entire process is quick and easy. 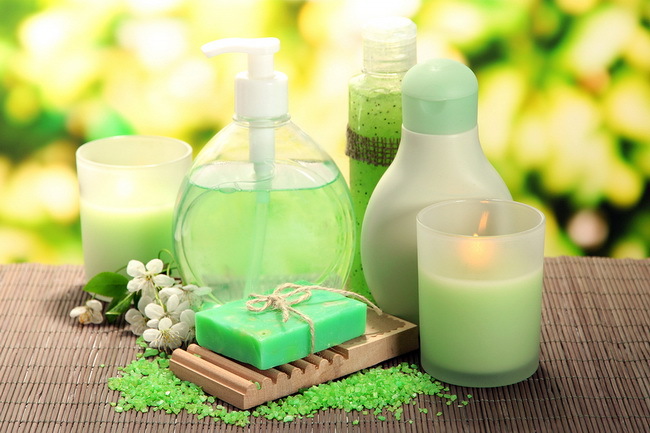 Using a variety of essential oils you can not only make a super aromatic liquid soap, but you can make one that has plenty of cleansing and antibacterial power but none of the dangerous chemicals. Be sure you have several pump bottles in the house so that you can fill them and place them in each bathroom and by the kitchen sink. Saving old dispensers will save you money and will save more plastic from being dumped into landfills and the ocean. Although we like to think that most items are recycled, the sad truth is that most of them are not. So check out our recipes to make your own fantastic liquid herbal hand soap. You will be using 120 drop of essential oils so it helps to have a container, such as a small glass bowl, to drop them into an combine them. If you have sensitive skin, you might want to reduce the cinnamon oil to about half the suggested amount, as it is quite strong and might irritate those with sensitive skin. Use a small glass bowl to mix the Castile soap, glycerin, and distilled water if you are using it. Place the essential oils into another small bowl and combine them, then add them to the other mixture. Stir gently, otherwise you were going to make a ton of bubbles. Use a funnel and pour the mixture into one 16 ounce container or two 8 ounce dispensers. Use caution before applying to your face or to a child’s delicate skin. Try a test area first to be certain that no one has any allergic or bad reactions to the essential oils. Although the essential oils used here are generally tolerated by most people, everyone is different.